The following professional development events are open to people around the country interested in learning more about building resilience in Infants, Toddlers, Preschoolers and School-age Children. Be sure to check back regularly for updated professional development information! Ready, Set, Resilience! Promoting the Social and Emotional Health of Preschoolers and the Adults Who Care for Them. We strongly encourage participants to register on-line. On-line registrations can be paid for by credit card, check, or purchase order. Following the on-line registration process, an invoice (for Check/PO registrations) or receipt (for Credit Card transactions) will be sent to the billing contact that is identified during the registration process. Should you need a hard copy registration form, please contact Debi Mahler, Professional Development Coordinator, at dmahler@devereux.org or 610-574-6141. 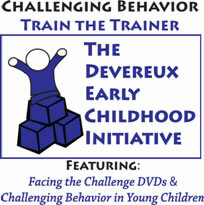 Click here to download a brochure of the 2012 Devereux Center for Resilient Children Professional Development Events and Descriptions. 2013 dates for the 2-Day DECA Preschool Implementation Training to be announced Early Fall, 2012. For more information about the DECA Preschool Program, consider attending the DECA Birth through Five Implementation Training and/or Local Program Mentor Training. More information listed below. 2013 dates for the 2-Day DECA for Infants and Toddlers Training to be announced Early Fall, 2012. For more information about the DECA for Infants and Toddlers, consider attending the DECA Birth through Five Implementation Training and/or Local Program Mentor Training. More information listed below. DECA Program Birth through Five Training, featuring the NEW DECA Preschool Program SECOND EDITION! 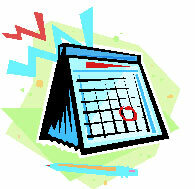 2013 Training Dates - Coming Soon! Continuing Education Units are offered for most of our trainings through Western Kentucky University, a fully accredited institution, for a small fee. All participants will receive a certificate of attendance for training clock hours that may be used to document professional development requirements in some states (please check with your own state licensing board!). For questions or more information on CEU's, please contact Debi Mahler at dmahler@devereux.org. If for any reason you are unable to attend a training in which you are registered, you may send someone in your place. Please notify Debi Mahler, Professional Development Coordinator, of any change. If you cancel at least two weeks prior to a training event, a $50 cancellation fee will be assessed. With less than two weeks notice, no refund is given. However, a credit for the training can be issued. For issues related to cancellations please contact Debi Mahler at (610) 574-6141 or at dmahler@devereux.org. For more information on these professional development events, please contact Debi Mahler, Professional Development Coordinator at dmahler@devereux.org or at (610) 574-6141.